Around 7 to 10 days after your puppy has received his full series of puppy vaccinations, plan some puppy play dates, sign up for a puppy class, or head to doggy daycare for a chance to spend time around other playful pets. Not only will exposing him to new places and different dogs help build confidence, it will help him learn how to control his little mouth. Puppies learn a lot from being socialized with other dogs. Since some canines prefer gentler play than others, puppies have to learn to react to a variety of different cues if they want their playmates to continue to wrestle with them—and that’s a strong incentive! Ever heard the saying, “A tired dog is a good dog?”If you spend plenty of time playing with and walking your puppy to expend some of their bounding puppy energy, it’ll be easier to focus during short play training sessions. When training your puppy to stop biting you, it’s important to discourage unacceptable biting behavior and encourage acceptable behavior. But that takes some work. When you’re just getting started, you can discourage your puppy from biting your hands or feet by crying out in a high pitched “ow!” when you’re bitten. Allow your hand or foot to go limp and stop playing for a moment. (Make sure not to yank your hand away, however, or your pup may think it’s a game.) Praise your pup if they stop or lick you and then get back to playing. If yelping and pausing doesn’t do the trick, try a short time out. When your pup bites you, remove your hands (maybe even tuck them into your armpits), step away, ignore her for 10 to 30 seconds, and then resume gentle play. When she plays nicely, offer plenty of praise, snuggles, and perhaps some treats! If you teach your puppy not to bite you, they will still to want to bite and chew on something—and that’s where toys come in. We’ll get into how to incorporate them in just a sec, but first, let’s look at some great toy options for puppies. When looking for toys to appease your teething puppy, invest in a few different types. You can also rotate toys to keep your puppy’s attention (just make sure to supervise with new toys to make sure they’re able to withstand plenty of chewing). 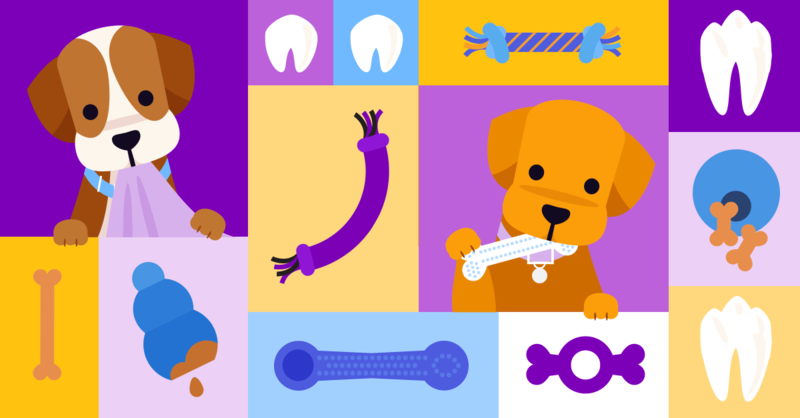 Not all teething toys are up to the task of power chewers; if a toy begins to fall apart, take it away immediately! Now that you know what toys to try; here’s the scoop on how to use them to keep your puppy from biting you. 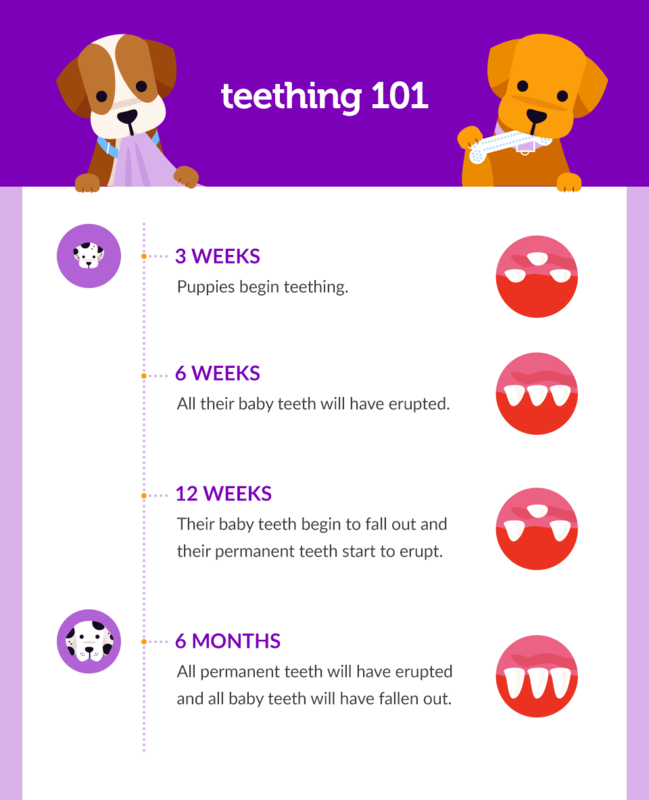 Just as with your previous play training, remove your hand or foot when your puppy uses her teeth. Instead of just ignoring her, give her a toy to chew on and praise her when she turns her attention to the toy. Keep a favorite toy or small treats nearby during non-playtimes, too, because puppies often gnaw on fingers when we pet and snuggle them. If your puppy tries to snack on a finger, offer a treat or toy with one hand, and pet with the other. This is another tried and true way to help puppies understand what’s okay to chew on. Toys can also be helpful for puppies who like to pounce on and bite feet while we walk. Try directing your puppy’s attention away from your feet by carrying a beloved toy by your side. If he tries to bite you, toss the toy his way instead! By following these tips, your puppy will be a pro playmate in no time! But if you still have trouble with biting, mouthing, and nipping after sticking to these strategies for a few weeks—or if you suspect your puppy bites out of fear or aggression rather than curiosity and playfulness—call up a professional trainer.